It’s hard to find a recent game with a name more cheesy than Space Rangers 2: Rise of the Dominators. It has all the classiness of a corny low-budget science fiction movie. In fact, its name could be the main reason why nobody’s noticed the game, despite a lot of acclaim from reviewers. So much so that the publishing company is now asking users to suggest a better game name… possibly to re-release it. In any case, Space Rangers 2 hails from Russia, courtesy of Cinemaware Marquee. Most of the game script feels pretty natural, but there’s just enough awkwardness to indicate it was not originally in English (other ships will ask your help to take out “this type”). That said, the script actually contains a lot of jokes. For example, the Faeyans discover a human toothbrush, and claim to have “improved” it to the point of also cleaning out the brain cavity. Maloqs will tell you of their annual Scoffing Ceremony, where they assert the superiority of their race over all others. All races are well-portrayed, and you’ll get a good feel for how each thinks. The core gameplay of Space Rangers 2 is quite solid. It’s an open-ended non-linear space strategy/adventure game along the lines of Pirates!. The game progresses in turns, each of which takes a day. You pick your action for the next turn(s), hit space, and they execute. You can stop on any turn in case something unexpected happens. This sounds somewhat awkward, but it actually turns out really well. It prevents the game from being dependent on reflexes and adds a bit more strategy. The galaxy is being invaded by the robotic Dominator race, and your eventual goal as a Space Ranger is to stop them. How you stop them, of course, is left up to you. You can always go the standard destroy-everything route, but it could be very tough and you’ll have to plan your offensive pretty well. There could be easier ways to take them out – figuring these ways out could make a big difference. There’s plenty of depth to the game aside from the Dominators. The galaxy is constantly active, and traders, diplomats, and mercenaries will go along their merry ways, sometimes assisting you in your fights and sometimes remaining indifferent or even hostile. Technology is always advancing, and as you progress in the game better weaponry, equipment, and even ships are available for purchase. New space stations are also built as time goes on as well, ranging from military stations to research centers and pirate hideouts. You can make money via trading, piracy, special missions, fighting the Dominators and turning their components over to researchers, scanning planets for hidden treasure… all can be quite profitable. The five races (Gaalian, Faeyan, Human, Peleng, and Maloq) don’t all like each other, and aiding one may make the others dislike you. Likewise, becoming a space pirate (cool as it sounds), though profitable, will probably make the authorities dislike you, and you can even be jailed on a planet. If you’re jailed, you have to make it through a text mini-game to make it out. Being jailed isn’t the only way to end up playing a text minigame. You can ask for a special job at any friendly planet. Most of these jobs involve delivering a package or protecting a ship from pirates, but there are also several text-adventure type games which range in theme. One mission, for example, involves trying to win a pizza-making competition. In another, you have to manage a ski resort and make it profitable. 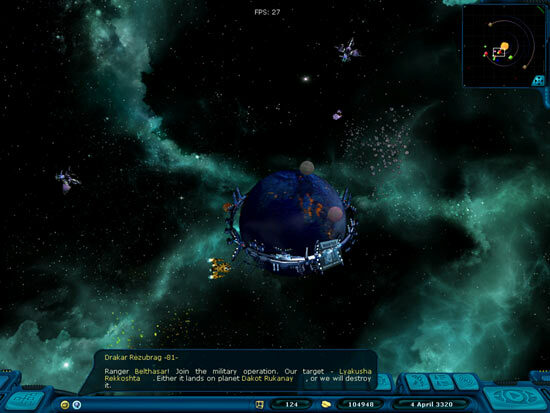 Some are more in tune with the theme of space exploration, but all are designed to be a brief break from the standard mechanics of the game. 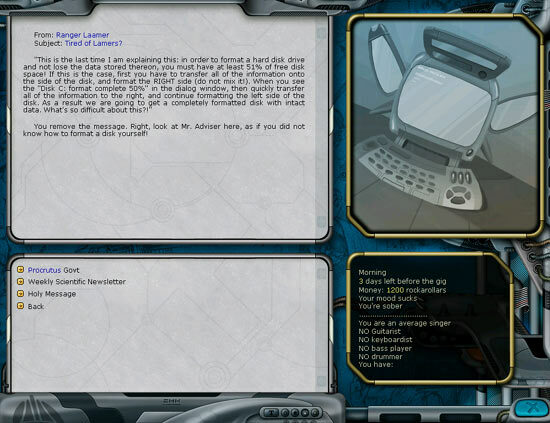 Many involve some kind of puzzle, but there are also some text-adventure style games. There is another kind of special mission – unfortunately, it has system requirements that my machine does not meet, namely DirectX 9.0 video support. This type of mission is RTS-style planetary combat versus the Dominators, with some action-based combat. It sounds like a really neat feature, so if you have the specs to support it and this gameplay mode sounds interesting, it’s one more reason to try the game. A third type of special situation arises in the form of black holes. These appear randomly in star systems, sometimes along with Dominators. If you enter them, you enter an action-based mode that plays sort of like a versus version of Asteroids. Your ship’s strength is still based on its equipment, though, so a sufficiently strong ship will offset any lack of resources. When you defeat all enemy ships, you end up in some other star system and gain some equipment. Black holes are optional, but they break up the standard gameplay with something a little more action focused. The game is graphically pretty, but crafted in a 2-dimensional style. 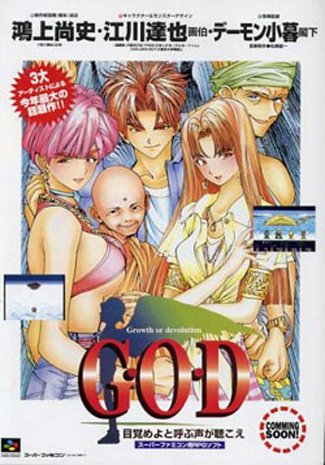 This keeps the general system requirements down, and the 2d system as well as the well-crafted interface makes the game very easy to navigate. If you’re looking for an incredibly spiffy-looking 3d space game, you probably want to look elsewhere, but for 2-dimensional stuff this is high-quality. Playing is a lot of fun, due both to execution and the open-ended feeling of gameplay. There’s a huge variety of things to do, and there are both preset and customizable difficulties. You can choose your character’s race and starting point (on a scale from Fighter to Merchant to Pirate), so you’ll be set to start on whatever path you want. You can customize your ship with parts bought on planets or scavenged from your enemies, lending some strategy to the game as well. Unfortunately, there are some problems with Space Rangers 2. Starting out is usually tough on any difficulty, but in Easy and Normal the battle can turn against the Dominators fairly quickly, so it can be a matter of the battle winding down for several hours of gameplay. After a few playthroughs, the missions can also get a bit repetitive. There are other ways to make money, but doing the special missions is generally the fastest and easiest way. Thankfully, the longer missions are usually the more interesting ones. Space Rangers 2 is a great game – it’s still being sold in stores, at a relatively low price. Space Rangers 1 is even packaged with the game, so you get two games in the same package. There’s a demo of the game available on the official website. A brief warning: the off-the-shelf version does come with StarForce copy protection, so if you’ve had difficulty with it in the past, beware. I haven’t had any problems with it myself, but it can be problematic on some systems. I hear there is a Direct2Drive version of the game that does not have StarForce, though, so you could still try the game that way.